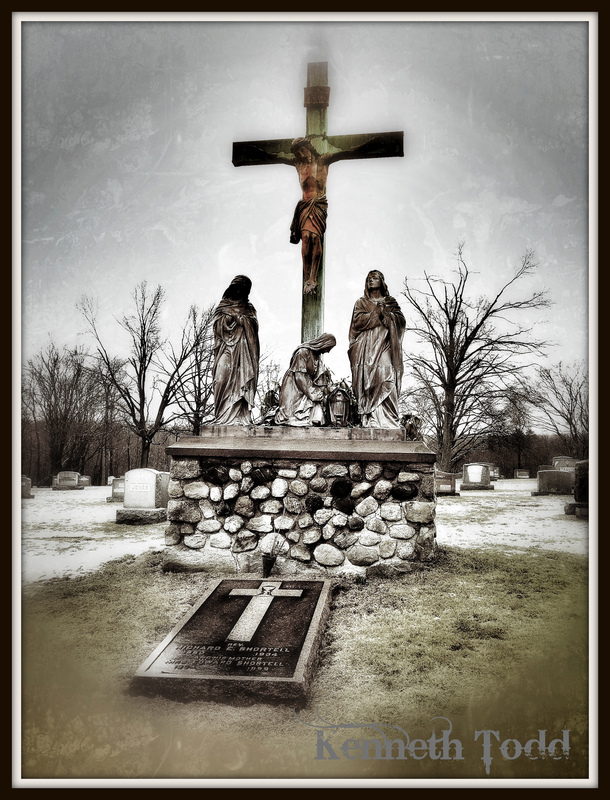 I took this photo at a local cemetery, whilst I was going for a run today. I had my iPhone with me, so I snapped away. Not bad for a phone right? As I mentioned, I will be putting together a how to for iPhone in this months tutorial, so click on tutorials link if you want to receive this. I also included a slightly different version for you to choose between. I love visiting cemeteries to pay witness to all the love centered in one place. Such loss, but also such connectedness. Great photo. Just wish you hadn’t added the frame… the picture is perfect! Beautiful! Reminds me how deeply we are all loved. I like them both…the larger one is amazing!!! 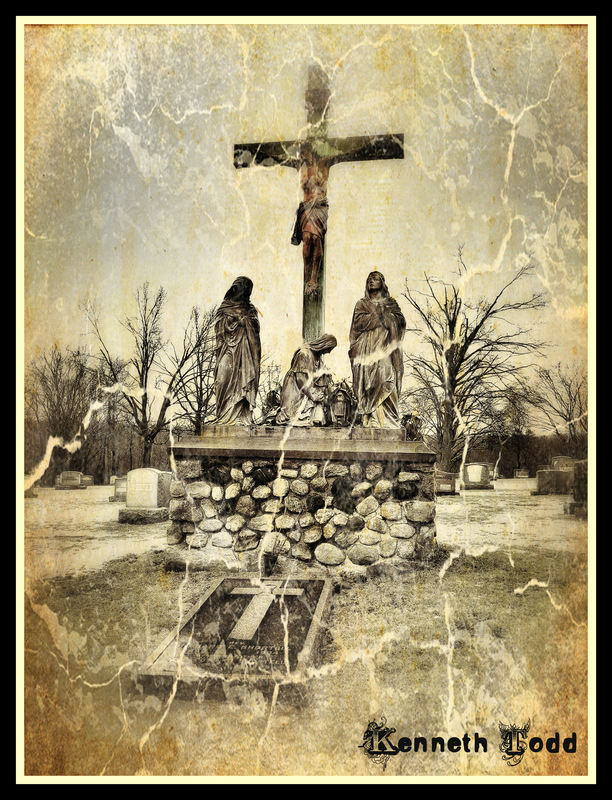 Not to be a party crasher the information is very interesting but the photo is kinda creepy for a cemetery! hehe. What is creepy? Being in the cemetery or the Tombstone? This is great for a phone, wow. I love cemeteries – I think people think that’s sort of morbid, but they also make me feel peaceful and calm. There are none near me when I run though, only white picket fences and suburbia. Incredible pictures…Snapseed is amazing – I use it to edit nearly all my photos! Thanks. yep Snapseed is fantastic. I like the photo. I like the treatment of it. And I like the frame. And yes, when it’s my turn, I suppose won’t want a tombstone quite that sombre, but then again neither will I want a smiley face. It reminds me of a true story about a particular tombstone in a small town in Iowa. Chistled on it is a potato salad recipe. Whenever her friends had asked for it, she’d always said, ‘over my dead body’. Brilliant. Thanks for the comments and smile. stunning and stands out so vividly … great post. Nice. I like the overall b/w with the touch of color on the main focal point.